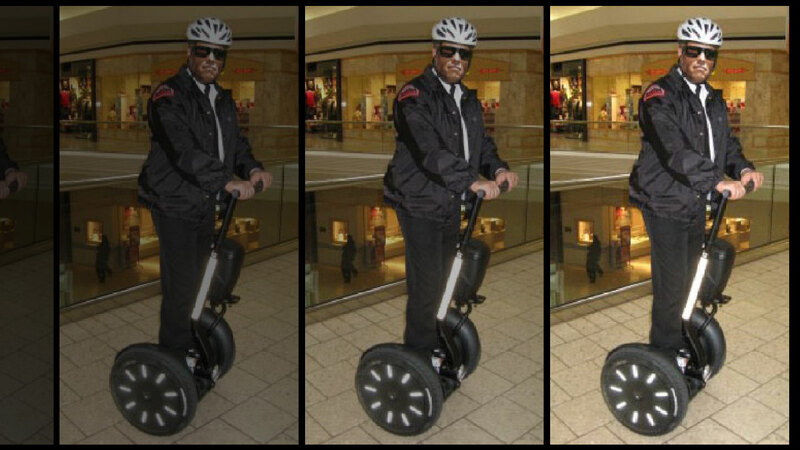 A security guard at Pittsburgh's fancy Ross Park Mall was fired this week after bringing a gun to work, fooling around with it in the security office, and accidentally shooting a colleague in the arse. The guard was in the mall's security office at the end of his shift at 11 p.m. and was loading a personal firearm when the gun discharged, Ross police said. The bullet went through a wooden stand and struck another guard, who was treated and released from a local hospital. The mall was closed when the incident occurred. The guards there don't carry firearms. I live in the region and the most threatening things in Ross Park Mall are the tween shoplifters lurking around Claires. That and the inexplicable sense of coldness and despair that envelops oneself as one approaches Sears.